Last Christmas, i read two books which affected me considerably. 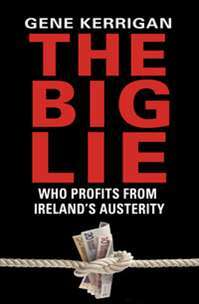 One was by Gene Kerrigan, “The Big Lie – who profits from Ireland’s austerity”, and the second, “The Famine Plot – England’s role in Ireland’s greatest tragedy” by Tim Pat Coogan. Both writers are famous Irish writers, journalists and columnists with strong opinions about Irish political, social and economical affairs. At the time i was affected and angry by the number of people committing suicide in Ireland due to financial pressures – not people i was directly connected with but friends and acquaintances of friends. It seemed to me to be so wrong that banks were being bailed out, corporate debt being sold off at a fraction of its value, bloated pensions being preserved for public and civil servants, including disgraced politicians, while, all the time we heard the mantra from the politicians, the banks, the Central Bank and the EU that debt forgiveness would ruin the world as we know it and no meaningful attempt was made to help those who were suffering so much from financial stresses that ultimately their better option seemed to be to take their own lives. 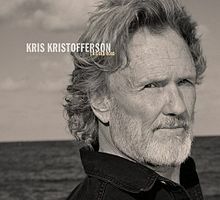 In the words of one of my heroes, Kris Kristofferson, from the song, ‘Wild American’, “I don’t care if its left or right, its wrong”. Fueled by this anger and inspired by these two books and all the news we were receiving from the media, i wrote a short story on this subject. It is difficult though, beyond my capabilities i think, to write a short story about suicide while being properly thoughtful of and respectful to those who suffer because of these tragedies. And so, a year wiser and older, i have rewritten the story with emigration as its cornerstone and i would like to share it with you. Any country which cannot provide for its sick and elderly, offer meaningful education, employment and lives to its young and cherish all its citizens and visitors, is barely deserving of its name. When many of this shortcomings can be directly traced back to the greed, shortcomings and corruption of its politicians and civil and public servants, it is indeed a sorry day. Once upon a time, in a small country on the edge of the civilized world, the nation’s most important couple were meeting for the first time after their holidays. Both were of an age when their wisdom and ability were at their zenith. Indeed, it seemed that the population had chosen well for the political systems in those days were based on a system called democracy where the people elected their leaders. This couple was charged with the protection of the people and their country and with the cultivation and enhancement of democracy there. The challenges were huge, even for such a talented couple, as the effects of the world-wide recession still affected the country. Social unease, unrest even, was in the air and all trod carefully. This couple were determined though, not only to solve the crisis but to restore the good times to the country. “Enjoy your holidays Prime Minister?”, “Of course”, the PM replied, “it was good to have a month off. It always takes me at least two weeks to unwind after all the functions we have to attend in the run in to Christmas. I find it harder going every year, and you?” “Well I actually read two books”, admitted the Sub-Prime Minister nervously. That’s all I got for Christmas”, she explained, “austerity! – Hopefully it will be over in time for next Christmas. One of the books was by Gene Kerryman. He had a lot of good ideas about how to profit from this austerity. I will do you a note. “Stop,” ordered the PM, “my head is bursting already, let’s get a cup of tea”. “OK”, “replied the Sub-PM, “and biscuits”, interrupted the PM. “Listen, this is very interesting. The other book was by that man, Tim Pat Hooligan. It was all about the Famine and how a few civil servants, chap called Trevelyan was one, and politicians in England helped it. Ah, here’s the tea”. “Two sugars for me and a chocolate biscuit”, interrupted the PM, “lovely, go on, tell me more”. “Well, these guys recognized that over-population was the real problem and that this was costing the government money. Bit like us really with the unemployed getting all those benefits”. “And the elderly, and the sick too, of course”, noted the PM, “they are all costing us money. Not to mention students and children with the Child Benefits”. “You’d have the draw the line at children”, said the Sub-PM, getting excited now that she had the PM’s full attention. The Sub-PM was beaming at this stage and had a faint sweat on her face. “One of the best small countries in the world to do business in”, she corrected her boss again, “not quite the same thing”. She cleared his throat and continued, “Well we’d have to offer incentives, coupons, like that internet crowd. You could use the coupons for health care or to pay your TV licence, that kind of thing. We could have a community programme where people pool their coupons to get better local facilities or even to employ extra teachers”. “Hold it”, commanded the PM, “I don’t like that idea, extra teachers!” “But don’t you see”, replied the Sub-PM excitedly, “that would be a real incentive, once a school got an extra teacher there would be great pressure on the community to keep providing the coupons. “Sounds brilliant”, said the PM, “but I still don’t get it. Tell me what did your man, what’s his name, Tin Pot Coogan, say about the scheme in his book. Was it a success the first time round or what?”. “Well, it was a success alright but it didn’t go down too well the last time it was tried here because the lads doing the organizing were foreigners. History, as they say, gave it the thumbs down but sure who cares about history. Live in the now, I say. We could sell it as being patriotic, for the good of the country. We could reduce unemployment levels, balance the Budgets, solve the pension crisis, do away with the need for more hospitals, better water supplies, everything. We could down-size the country. We might even win the Noble Prize”, stuttered the Sub-PM, realizing just how brilliant she was. “Again”, said the PM, “Of course, again but this time for economics”, replied the Sub-PM. “Have you a name for this scheme?” queried the PM, “and please give me the details”. “I have some bright people advising me”, responded the Sub-PM. “We have a couple of names floating around. We could call it the Assisted Rural Scheme for Emigration, or the Assisted Social Scheme Helping Others Less-fortunate Emigrate. My people are working on suitable acronyms now – an acronym is a great thing for selling an idea you know. You see we would reward families who got their relations to emigrate, the size of the prize being related to the number of individuals who emigrated. Of course they would have to stay away or else the prize would be refundable – with interest. We could organize communities to compete with each other for larger prizes – there is no end to the schemes we could use”.